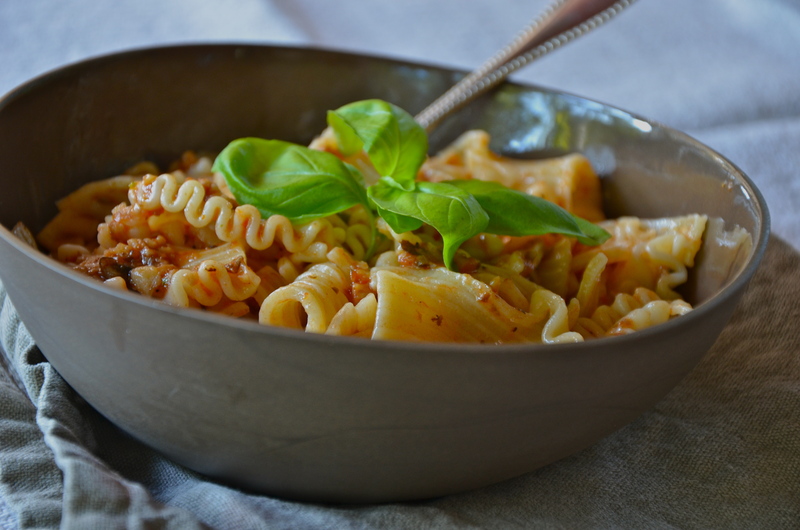 Tacconi is a square pasta, kind of like a short lasagnette noodle. It’s flat in the center and rippled on two sides and it was designed to hold rich, earthy sauces made from mushrooms and other goodies. It’s common in Tuscany and works beautifully with salsa rossa al funghetto. If you can’t find tacconi, use penne or fusilli. If you can find tacconi, buy a bunch and keep them in the cupboard. Unusual shapes are hard to find so when you do come across them, stock up my good people. Make a tuscan proud. Heat olive oil in a pan and sauté garlic over medium heat until golden. Stir in the salsa al funghetto, tomatoes, tomato paste, and basil. Turn the heat to high and cook until the sauce is reduced somewhat. Add sea salt and pepper to taste. Meanwhile, cook the tacconi in boiling salted water until al dente. 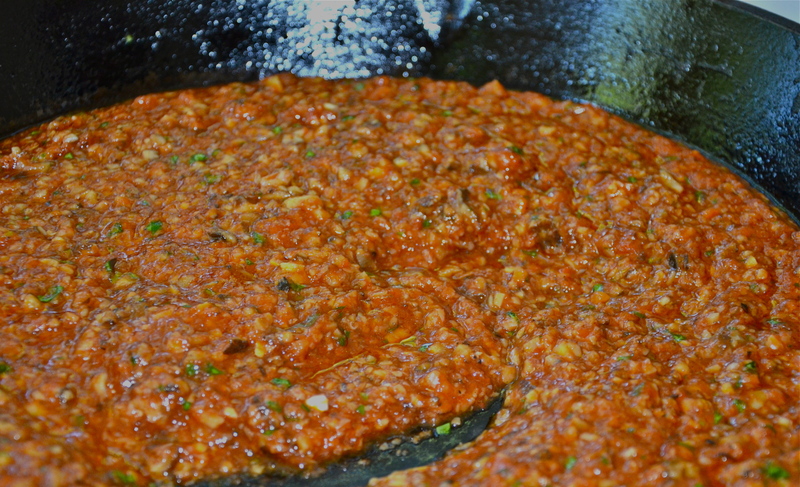 Drain, transfer to a large bowl, and add sauce until well-coated. Reserve any sauce that’s not used for the next time. Add a little grated parmigiano if you want the non-vegan version. Or, for the vegan version, simply serve with a few basil leaves for garnish and a side salad. Maybe even some crusty tuscan bread with a bowl of fabulous sun-kissed olive oil. Adapted from Pino Luongo’s A Tuscan in the Kitchen. Oh wow, this sounds heavenly. All of your recent posts are making me want to learn more about Italian food, not to mention make + eat it much more often!